Being back in Chicago, I have craved more southern meals. One day, we were walking through Chinatown and I saw fresh crawfish for the first time. I knew I had to take advantage of this opportunity and host my own crawfish boil. Armed with several smaller pasta pots, I attempted to recreate a southern style crawfish boil in my apartment. Here is a recipe I tweaked to my liking and the result. Boil water so that each pot you are using is about 1/2 full. Add the old bay seasoning, salt, and pepper to the liquid and taste. It should be overly salted and overly spicy. Once boiling, add the potatoes, onions, and garlic. Boil for 10-15 minutes until potatoes start becoming a little softer. Then add the corn and boil for another 10 minutes. Finally, add the lemons and sausage. Before adding the crawfish, be sure to check that each one is alive. Cooking dead crawfish can spoil the entire pot. 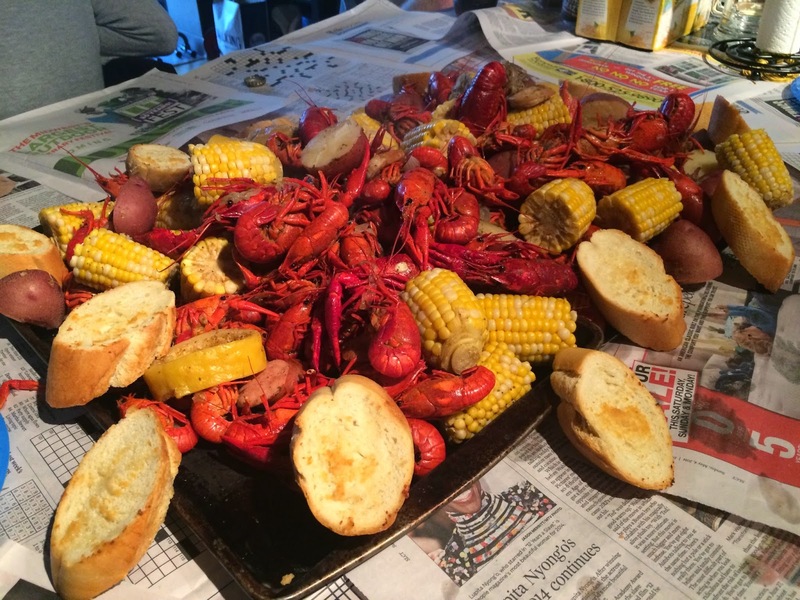 Once checked, bring the pot up to boil and add all of the crawfish. Stir and boil for 5-10 minutes (I tended to cook a little longer). Turn off the burner after the ~10 minutes and allow the crawfish and all the other ingredients to steep in the liquid for a MINIMUM of 30 minutes. After the minimum 30 minutes, strain the food from the cooking liquid and dump on top of newspaper on a picnic style table. This way everyone can enjoy and makes the cleanup much easier. Serve with toasted garlic baguette and a great IPA or amber ale beer! 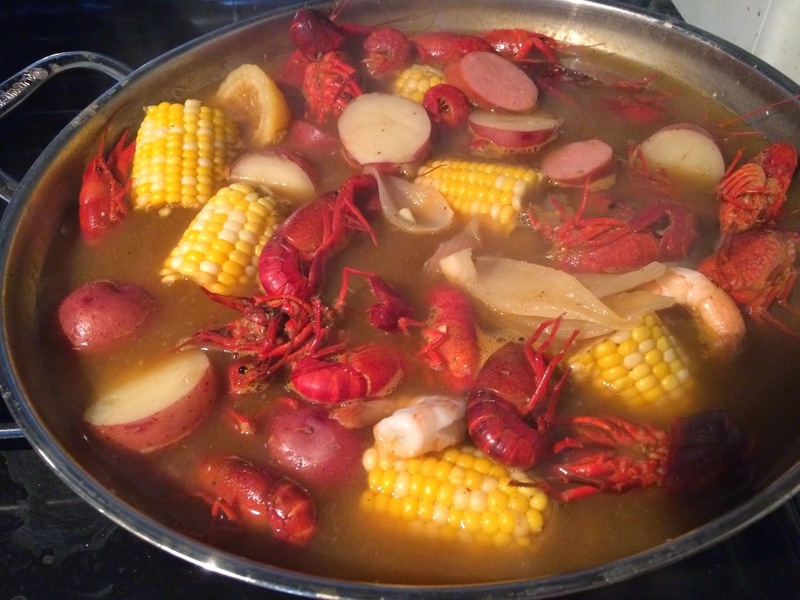 - Make sure the liquid is boiling prior to dropping in the crawfish. 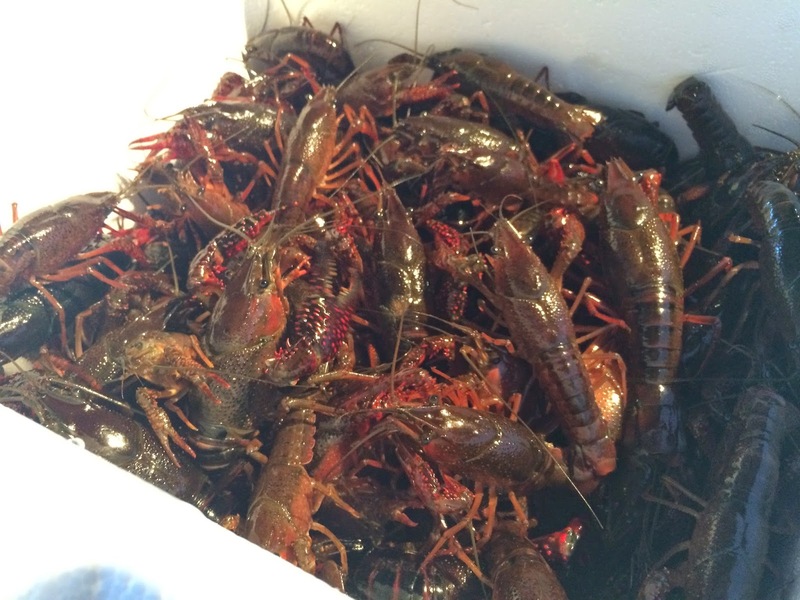 It allows the crawfish to be killed in a more humane way and makes the meat much better. - For a little extra flavor, add a little Old Bay Seasoning and pepper prior to eating.